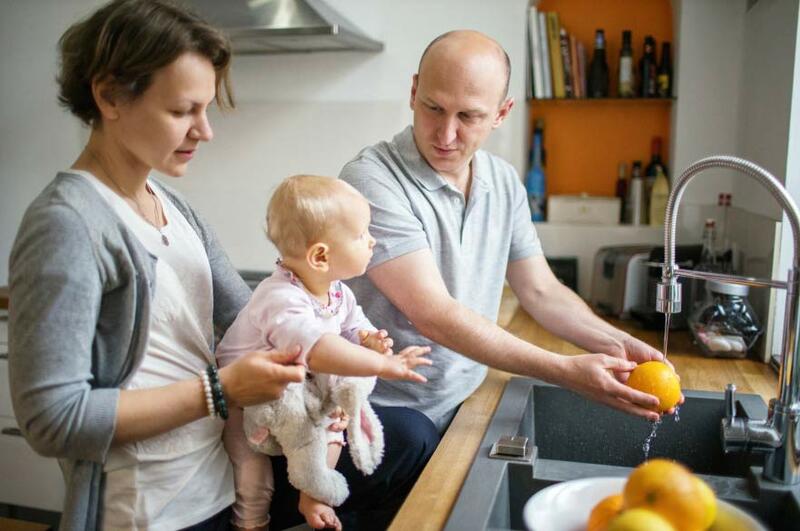 More families in Nottingham are likely to be struggling financially than the UK average due to the high proportion of households employed in low paid caring roles, according to new analysis. More families in Nottingham are likely to be struggling financially than the UK average due to the high proportion of households employed in low paid caring roles. Analysis by Nottingham Civic Exchange – a new think tank based at Nottingham Trent University – shows Nottingham’s reliance on certain low paid, caring and leisure occupations means more residents in the city are likely to fall into the category of “Ordinary Working Families” than elsewhere in the country. The think tank’s Out of the Ordinary: Exploring the lives of ordinary working families report will be shared at its launch event tonight (June 15). It reveals the average income level of “Ordinary Working Families” – those just about coping economically – is slightly less than £25,000 once housing and tax costs have been taken into account, while 11.5% of households in Nottingham (higher than the national average of 9%) are employed in caring and leisure services with average annual salaries of just £17,000 a year. Nottingham also has far fewer residents employed in higher paying professional occupations – 16% compared to the UK average of 20%. Combined, those factors mean Nottingham City households are more likely to fall within the “Ordinary Working Families” category than other areas. Indeed the East Midlands as a whole has a higher number of such households than the East, London, South-East and South-West of the country. The research is the first of three phases in the Out of the Ordinary programme which will see Nottingham Civic Exchange address policy issues from a Nottingham perspective. There are numerous areas across Nottingham where the average household income is not enough to support the purchase of an average home in the area – particularly in rural areas North of Newark and North East of Bingham. There is a wealth disparity across the county of Nottinghamshire. A relatively large number of highly paid, highly skilled workers in Nottingham City live elsewhere and a lower proportion of residents are able to access or progress within the better paid and more highly skilled jobs within the city. Professor Edward Peck, Vice-Chancellor of NTU, said the Out of the Ordinary programme provides an important exemplar of Nottingham Trent University engaging with the challenges and concerns of all of its fellow citizens. The University has established the think tank in partnership with the RSA, one of the country’s oldest yet most forward-looking centres for the analysis and formulation pf public policy. Mr Taylor will be attending tonight’s launch event, at which the first stage of Nottingham Civic Exchange’s research will be unveiled. Two further phases of work will follow in the summer and autumn. *Authors of the Out of the Ordinary: Exploring the lives of ordinary working families report were, Paula Black, Director of Nottingham Civic Exchange; Sarah Burton, Research Assistant at Nottingham Trent University; James Hunter, Principle Lecturer in Sociology at Nottingham Trent University; Chris Lawton from Nottingham Trent University’s Economic Strategy Research Bureau; Rich Pickford, Knowledge Exchange and Impact Officer at Nottingham Civic Exchange and Daniel Wheatley, Senior Lecturer at the University of Birmingham’s Business School.